Hello :) I wanted to say hi now that my 12 Days of Christmas has come to an end. Thank you to all who participated and I hope many of you won those amazing 12 gifts (some of which are still going on). I am home for Christmas and look forward to spending a week with my family. It's supposed to be 83 on Sunday and I am hoping for a beach day, YAY! So the runDisney Walt Disney World Marathon is quickly approaching. How, I mean, HOW did this happen? I feel like we were sitting on a plane just yesterday on our way to NYC for my first full, the ING NYC Marathon. Now I sit here, less than three weeks away from the Walt Disney World Marathon Weekend - where I will be participating in the Dopey Challenge. For those who are not familiar with what I am about to put myself through, it is 48.6 miles over 4 days. A 5K, 10K, Half Marathon and Full Marathon. Most people look at me like I should be committed when I mention the Dopey Challenge which starts January 9th. The only answer I have is the number six. Six medals over 4 days that is. In April, that sounded like a fantastic idea. To be honest, I am currently shaking in my running shoes. Not only am I unprepared physically, I also have no idea what I am going to wear. In non runDisney races, this wouldn't be an issue. 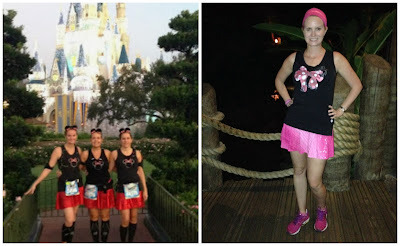 Going to a runDisney event without an outfit plan is like going to prom without a dress, just saying. I do not have any outfits selected for the 4 events. Double rats. Over the next week, you will see me scrambling trying to figure out what to wear for FOUR CONSECUTIVE RACES. Minnie and Mickey can be recycled as those are completed outfits. Here's what I am thinking so far. Saturday: Donald Duck? or do I pull out the old faithful Mickey Mouse costume (on the left above)? Friday: Dopey - problem here is getting greens to match or do I do Snow White? Help me in more ways than one! Expedition Everest opened up this week for registration. 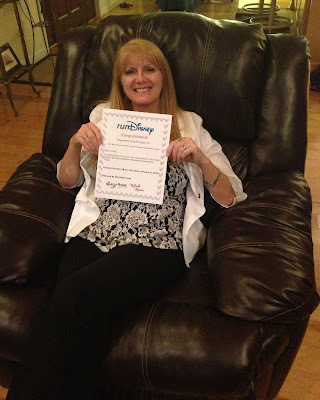 This is one of my favorite runDisney events through the year and I am on the verge of signing up. My only hesitation is the price. When we did this amazing race two years ago, the cost was much lower and I wasn't on a wedding budget at the time. Shelling out $230 for a team entry is a little rough at present time. With that said, while the cost may seem high for a 5K, it is much more than 3.1 with a shiny medal - it's a true exhilaration rush, the 5K obstacle course followed by a scavenger brain challenge. Anyone who loves competitive challenges would love this. I have until 1/14/2014 to decide before prices increase. Volunteer spots are available for Marathon weekend! Volunteers rock my socks off and make the adventure a wonderful experience. If you have the time, I would love to see you out there! SHOES SHOES SHOES! New Balance will introduce the 2014 runDisney sneakers in a few weeks at Marathon Weekend. Sorcerer Mickey and Pink Princess Minnie will be joined by friends! Goofy and Cinderella. Click here fore more details. Why do you runDisney? runDisney is looking for a 15-second Instagram video tagged w/ #WhyIRunDisney and the race you will be running in 2014. 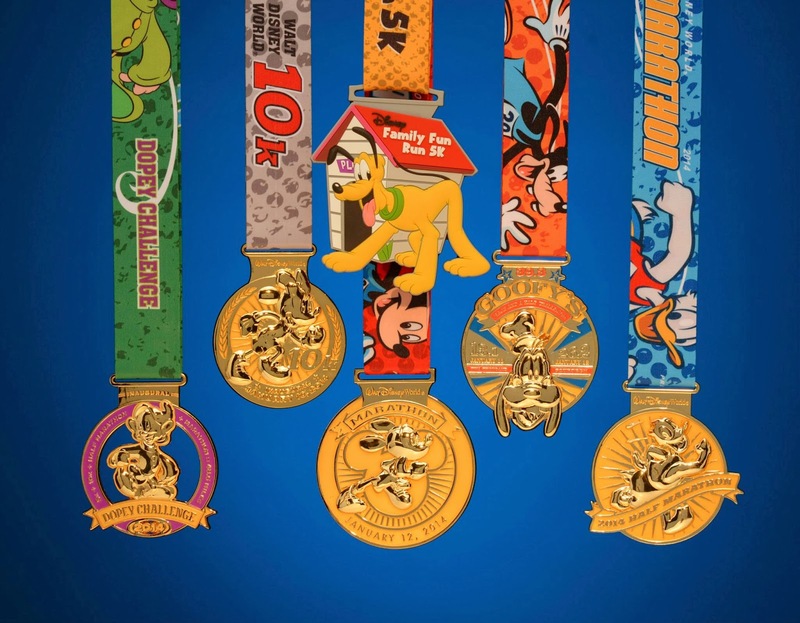 They will select one winner per race, from 5K's through the race weekend Challenges, to be featured in a fully produced runDisney video. This is pretty awesome friends! If you are the chosen runner, runDisney will send a crew to your hometown to see what motivates you and capture the magical moments during your race weekend. Minnie Mouse Marathon Bra by Champion. Hello ladies! Champion Athleticwear designed a sleek, stylish, ultra-lightweight version of the Marathon Bra specifically for runDisney! They created a Minnie Marathon Bra which delivers all the support you need for your longest, most magical runs.